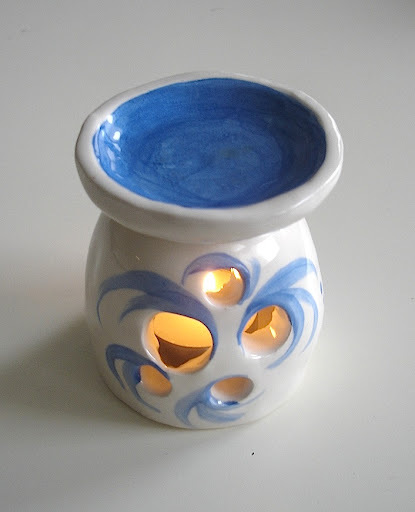 Building with coils, the essences ceramic diffuser must be large enough for a candle. 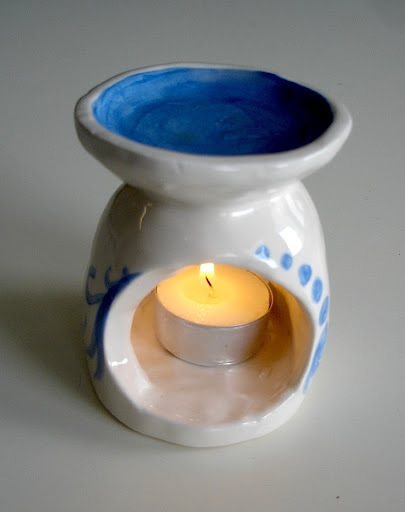 You can build the container for the candle and the cup for the essences separately and then you can join them. 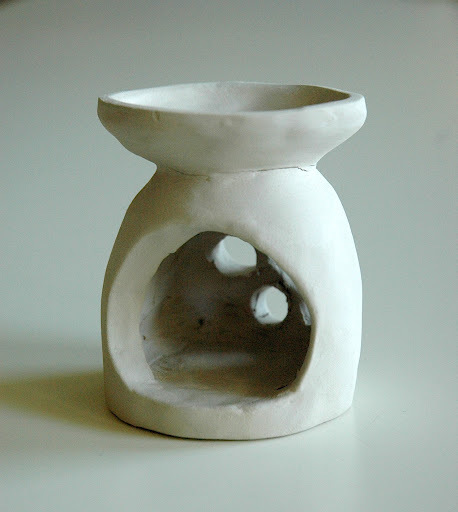 When the clay as hard as leather you can cut the opening for the candle and some openwork decoration behind. 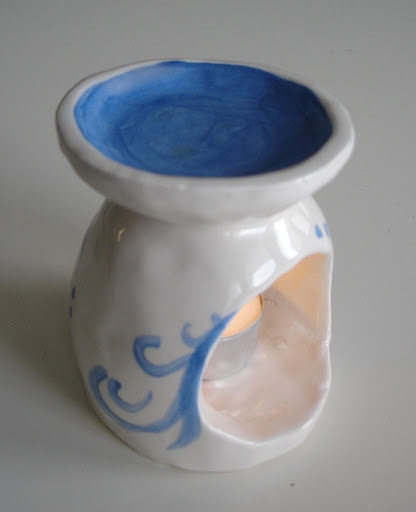 After the first firing you can decorate with engobe and glaze with transparent glaze. The diffuser is ready for the second firing in the kiln. Hi Mark! 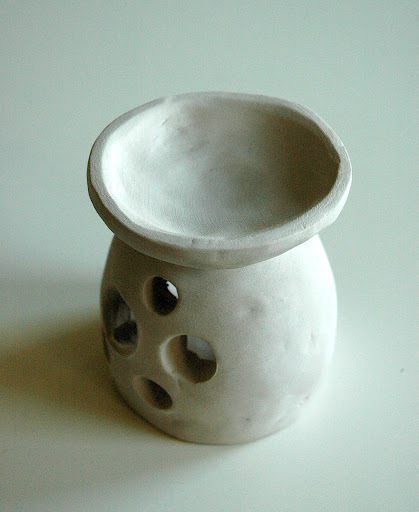 Unfortunately I don’t sell these ceramic diffuser, I just made them for my lessons with students, these are sample to show during the lesson! I’m sure that you can find something similar on line. 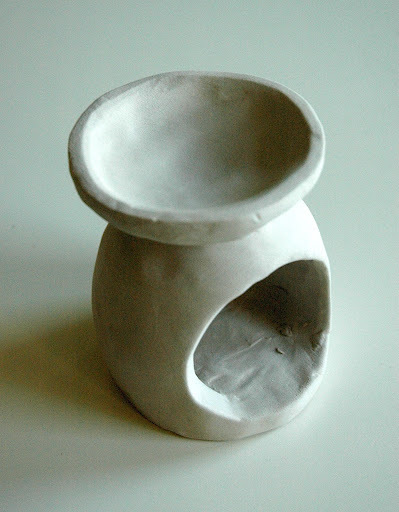 Did you glaze the entire inside of the clay piece, even the bottom part of the inside dish? Did you just sponge the bottom clean of the glaze?